Liverpool fans Oliver and Luke Carey, 7 from Dunboyne and Jason and Ryan Collins from Wicklow before the Republic of Ireland X1 v Liverpool FC Legends match in the Aviva stadium in aid of injured Liverpool supporter, Sean Cox. 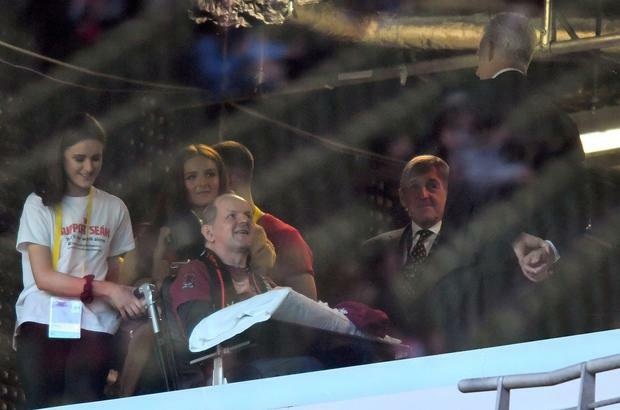 Irish President Michael Higgins attended the game and met Mr Cox’s wife, Martina and children Jack, Shauna and Emma on the pitch, as thousands of fans sang Liverpool anthem You’ll Never Walk Alone. 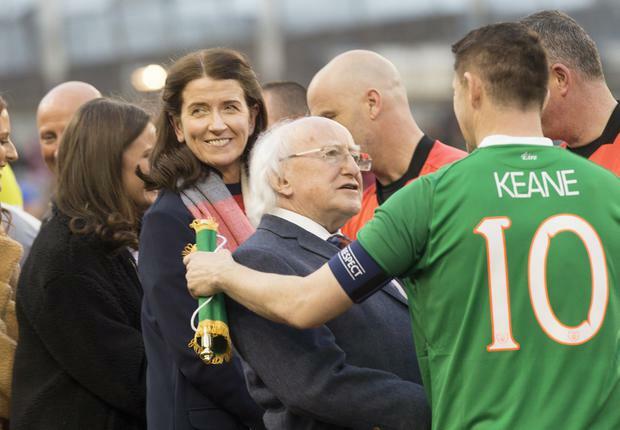 The Republic of Ireland X1 v Liverpool FC Legends match in the Aviva stadium in aid of injured Liverpool supporter, Sean Cox. 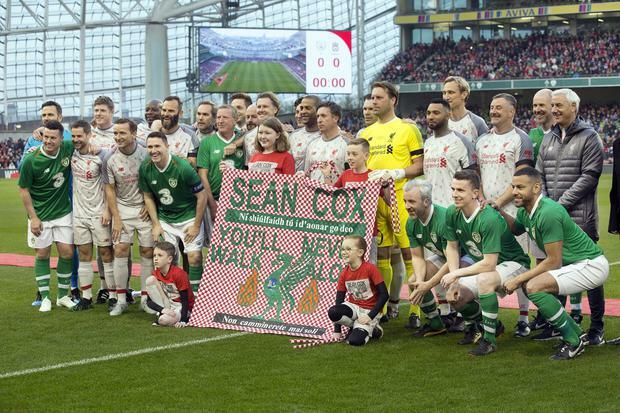 Martina Fox before the Republic of Ireland X1 v Liverpool FC Legends match in the Aviva stadium in aid of injured Liverpool supporter, Sean Cox. “It’s a big milestone for us,” Ms Cox said earlier this week. 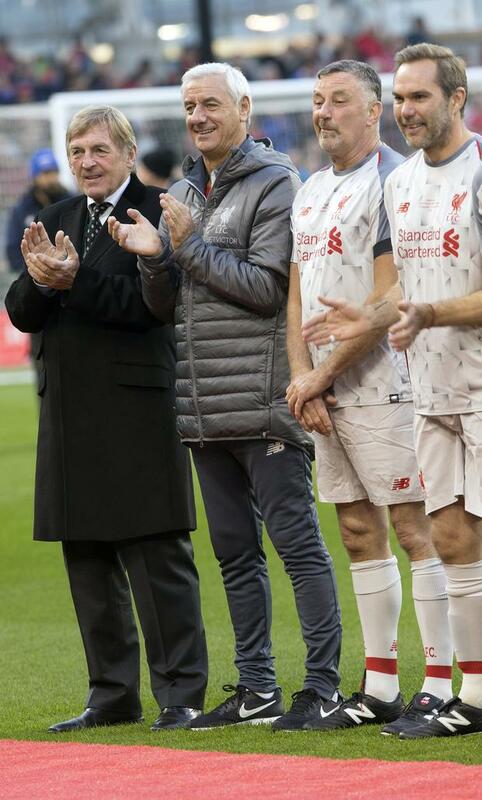 Liverpool legenda Sir kenny Daglish, Ian Rush, John Aldridge and Jason McAteer before the Republic of Ireland X1 v Liverpool FC Legends match in the Aviva stadium in aid of injured Liverpool supporter, Sean Cox. “It will be quite overwhelming for Sean. He’s been home but only in our house, and he’s been with family. It is nearly a year since Sean Cox suffered major head trauma when he was struck in a random assault by a masked AS Roma supporter outside Liverpool’s stadium last April. 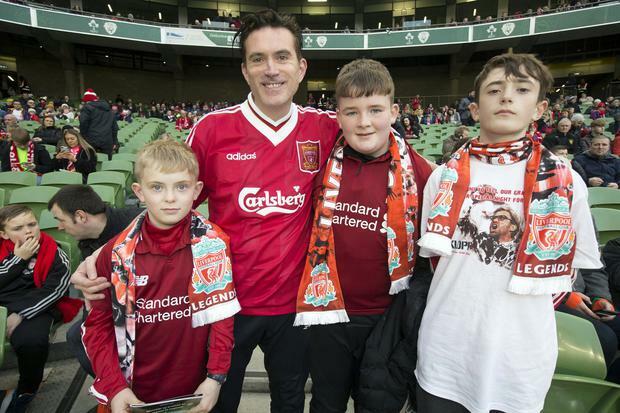 Liverpool fans PJ Leahy, Dylan Leahy, Kyle O’Meara amd Jamie Leahy before the Republic of Ireland X1 v Liverpool FC Legends match in the Aviva stadium in aid of injured Liverpool supporter, Sean Cox. 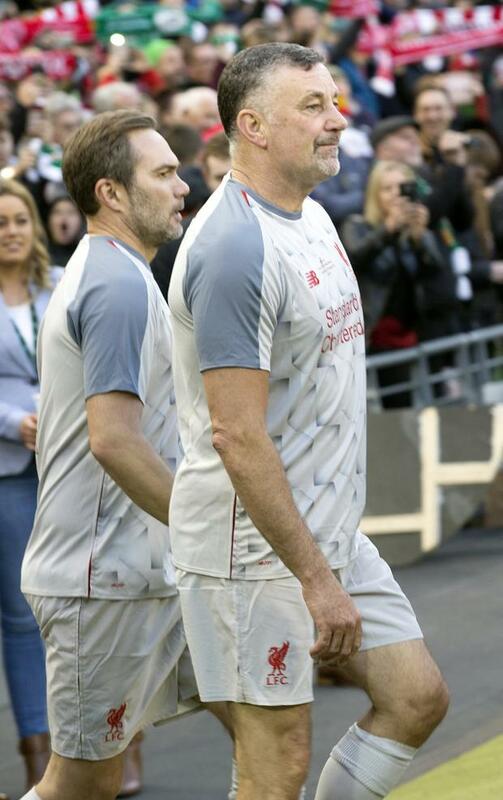 Liverpool legends Jason McAteer and John Aldridge take to the pitch for the Republic of Ireland X1 v Liverpool FC Legends match in the Aviva stadium in aid of injured Liverpool supporter, Sean Cox. “Recent rehabilitation research points to Sean needing as much skilled neurorehabilitation as he can manage, for as long as it is helping him – months and months of it.